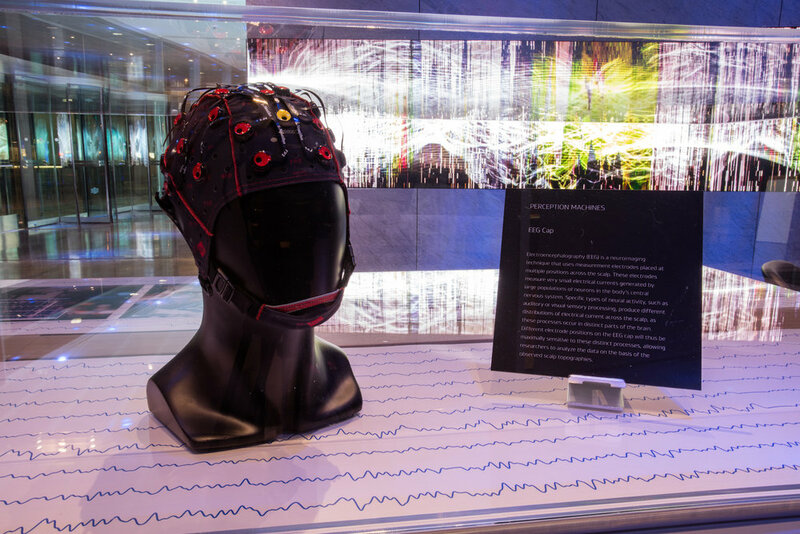 Perception Machines was an exhibition about how our brain interprets the world, and the role of neuroscience in the development of Dolby technologies. Its centerpiece was Flow (2016), a new commission by Tokyo-based artist, Daito Manabe, known for his live media performances that use the human body as data. 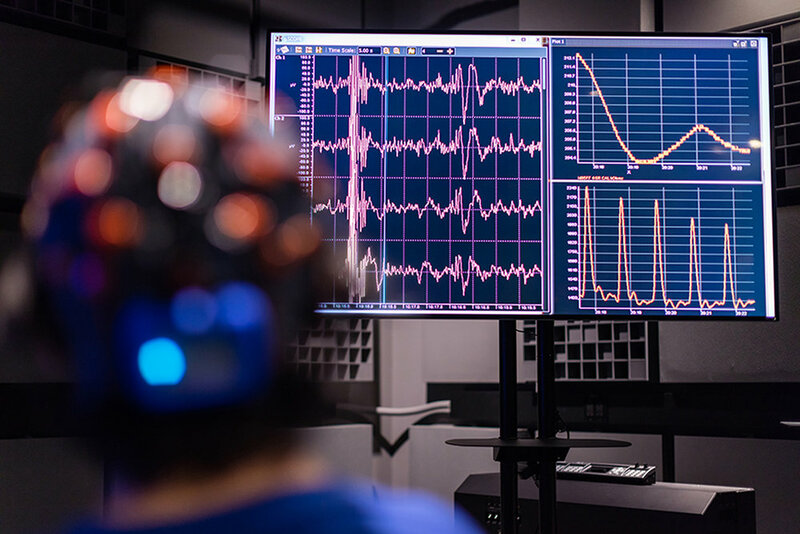 Several months prior to the exhibition, I designed a micro Artist-in-Residence program that embedded Daito within Dolby Laboratories' neuroscience team. 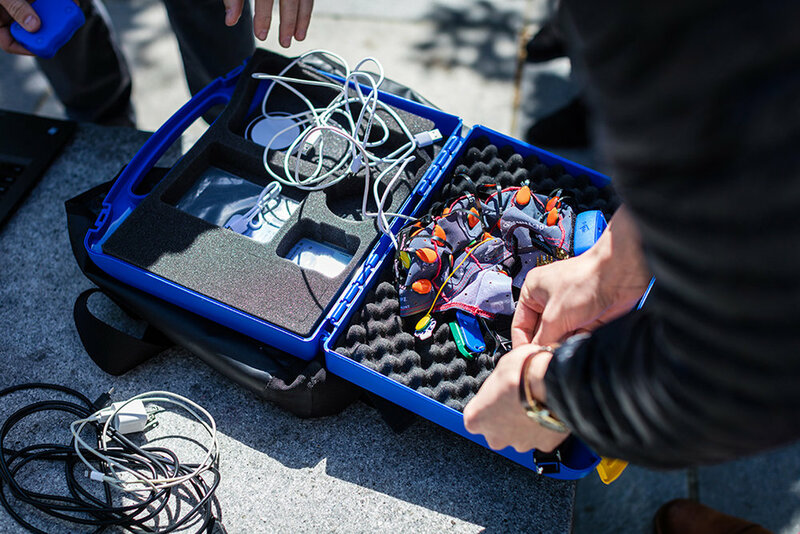 The AIR would shadow and participate in hardware experiments, technology R&D, and roundtable discussions with scientists and engineers exploring the many facets of our sensorial systems. 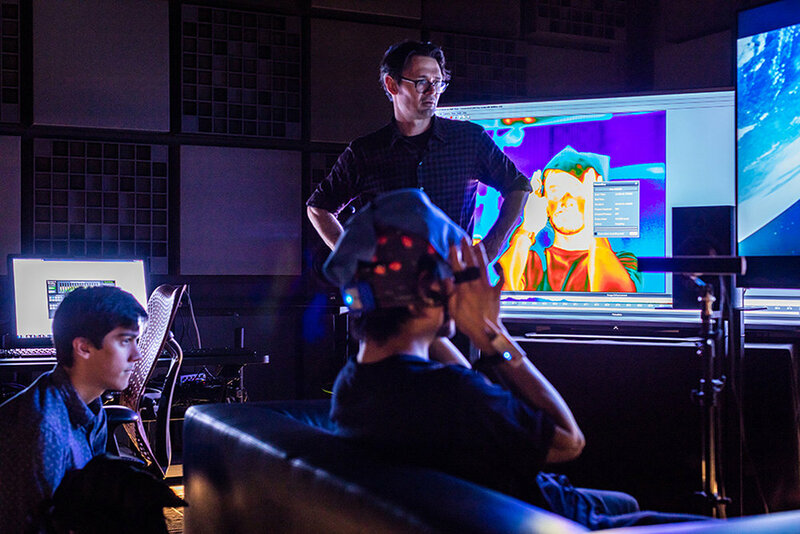 During his residency, Daito recorded himself watching classic movies and exploring San Francisco’s cultural centers while attached to multiple sensory tracking systems. His resulting artwork presented a digital déjà vu of his physiological experience, with abstract visuals signaling how he "felt" that day. 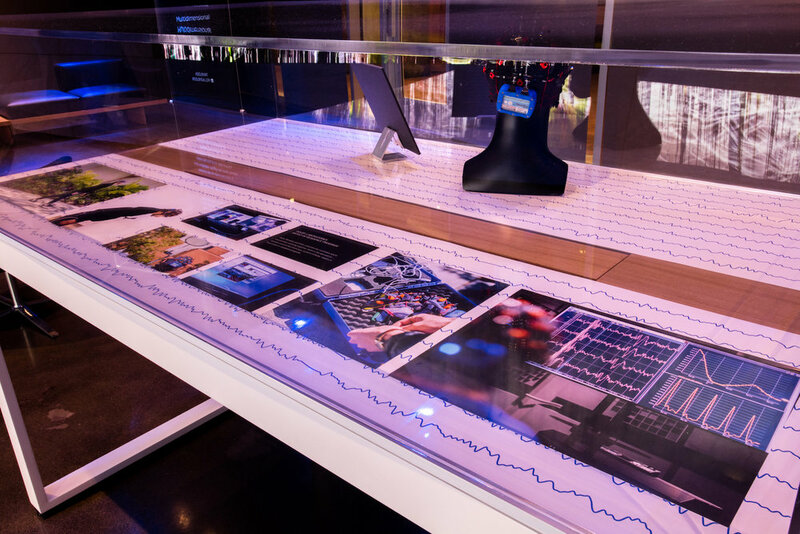 Perception Machines also featured the sensory tracking systems used to create Flow, an interactive thermal imaging installation, plus ephemera and field data produced during Manabe’s time as Dolby Laboratories’ first Artist-in-Residence.